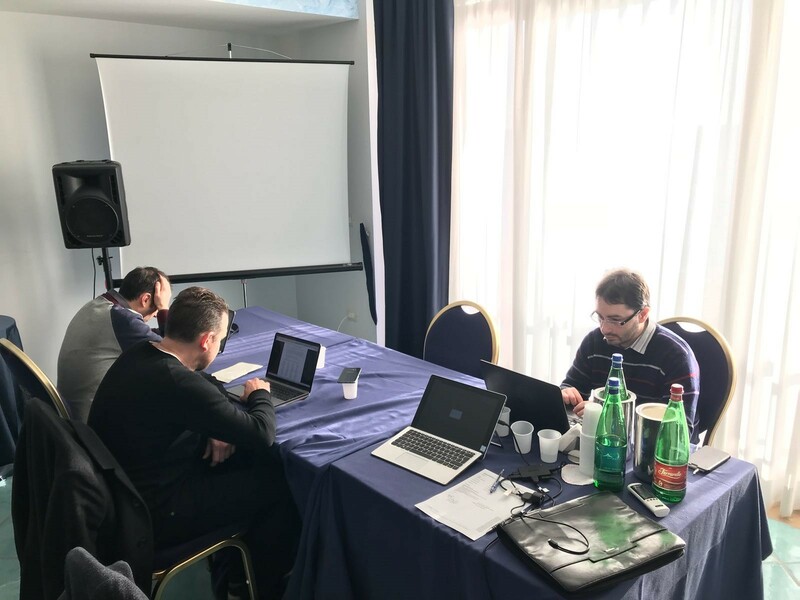 An operative Meeting about NEWTON “GAM LAB” Large-Scale Pilot has been held at Hotel Centro Congressi “Polo Nautico” in Salerno, Italy on December 5th 2017. 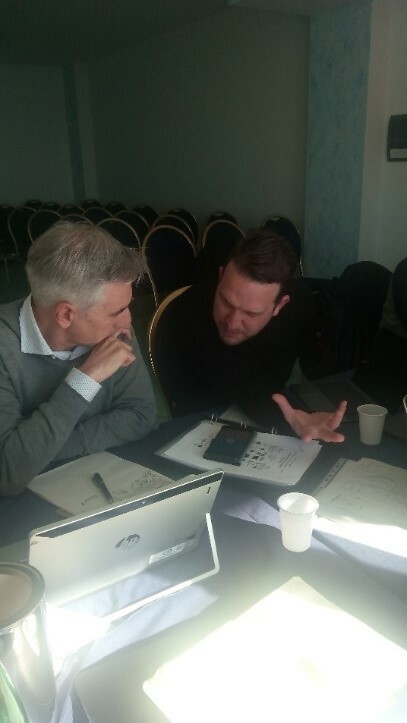 Participants in the event were Fabio Di Salvadore and Giuseppe Guarino from QUI! Group, Carmine De Nicola from Beyond, Jim Playfoot from White Loop and Michal Mjartan from ATOS Slovakia. The event had a double purpose. Firstly, sharing among participants the status, progress and issues about the development of the scenarios (Maths/Spatial Geometry and Chemistry/Ceramics across cultures) in NEWTON “GAM LAB” Pilot with focus on the operative approaches to be followed. Finally, defining and sharing the best approach for Pilot assessment activities for the further presentation to the Institutes. An interesting open discussion on various topics arising from Pilot’s objectives and operative needs took place. One of them (Gamification integration follow-up necessities) has been instantly shared with the Coordinator and the other partners during the following Consortium Meeting Skype-call and others (regarding other integrations and connections at a project level) will be bring up to the general attention in appropriate occasions, successively. Participants’ points of view, ideas and approaches about didactic operative process definition (for Maths and Chemistry topics), virtualization of learning contents, assessment procedures and Gamification mechanics to be delivered for the overall Pilot were analyzed in detail and appointed for proper solutions amidst the Project Partners involved.